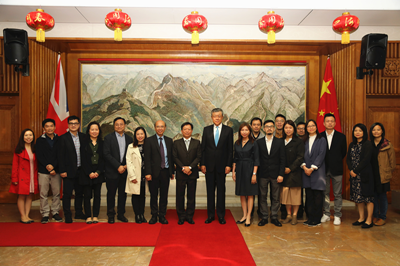 On June 4, Ambassador Liu Xiaoming met in the Chinese Embassy with the delegation from the Journalism Education Foundation Hong Kong Limited which was on a European tour. 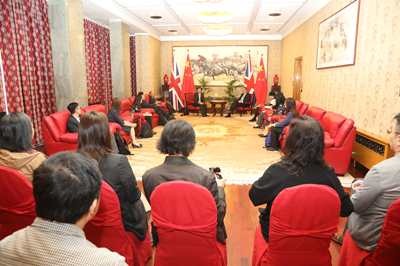 Ambassador Liu noted that, with the rapid development of China-UK “Golden Era”, a more strategic, practical, global and inclusive relationship between China and Britain has brought real benefit to the peoples of the two countries. Since its return to China, Hong Kong has made remarkable achievements, playing an important role as a bridge and a bond for China-UK relations. He hoped that Hong Kong could give full play to its own strengths and seize the opportunities brought by the opening-up of the motherland, China-UK “Golden Era” and the Belt and Road Initiative to achieve new development and facilitate the indepth progress of the China-UK “Golden Era”. The Ambassador also encouraged the Hong Kong press to share the success stories of Hong Kong’s economic prosperity, social stability and press freedom to help the world understand Hong Kong. 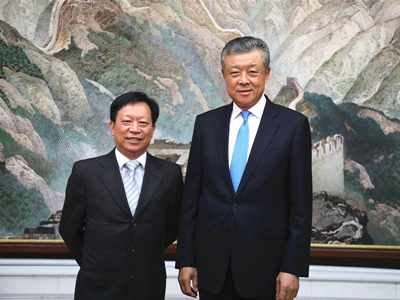 Mr Chan Cho Biu, Head of the delegation, Chairman of the Journalism Education Foundation Hong Kong and Senior Editorial Adviser of Hong Kong Economic Times, briefed the Ambassador on the operation of the Foundation and the itinerary of the delegation including meetings with the British media including the BBC, the Times and the Economist. They will present a comprehensive, real and promising Hong Kong to the British media so as to contribute to Hong Kong’s development. Ambassador Liu also answered questions relating to Brexit and how to strengthen cooperation between Hong Kong and the UK in finance and technology innovation. The Journalism Education Foundation Hong Kong Limited was jointly set up by the Newspaper Society of Hong Kong and the Hong Kong News Executives’ Association as a non-profit-making organization on December 1, 2006. It seeks to train outstanding journalists, cultivate informed readers, listeners and viewers and raise the standards of journalism in Hong Kong. The delegation consists of people from Hong Kong’s media organizations including Ta Kung Pao, South China Morning Post, Ming Pao, Hong Kong Economic Times, iMoney, i-CABLE News Limited, Commercial Radio Hong Kong, Now TV, and Radio Television Hong Kong, representatives from the Chinese University of Hong Kong, the Hong Kong University of Science and Technology and Hong Kong Baptist University, and Hong Kong SAR Government official.